Scientists have classified the animal kingdom in to groups based on different characteristics. Vertebrates and Invertebrates are the two main categories. Vertebrates are animals with backbones,such as birds,reptiles,amphibians,fish and mammals. Humans count as mammals because we are warm-blooded,we have hair, we grow young inside our mothers and we suckle milk from them. 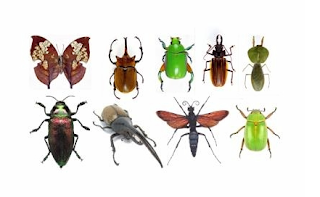 Invertebrates are animals with no backbone.They make up 97% of the animal kingdom and comprise of 7 groups.One of the groups are arthropods.They have an exoskeleton,a segmented body and jointed legs.Another group is the annelidas which are worms. One more is the molluscs which are soft-bodied invertebrates like snails and slugs. Very clever what a thorough explanation you have provided. It's a bit like the Dewey System for the Library isn't it. Do you know who made up this system of classification?